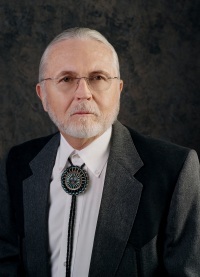 Jackie McKinney was born in Lawton, Oklahoma and has called Gallup home since 1963. A graduate of Gallup High School, Jackie also attended New Mexico Military Institute and Northern Arizona University. Jackie retired as general manager of AC Houston Lumber in Gallup following 30 years of company service, allowing him to spend more time with his wife Sandra, four children and nine grandchildren. Partner with Legislators, McKinley County, and the Navajo Nation to provide needed Quality of Life initiatives for all citizens.